In this paper, ZnSe nanoparticles (NCs) have been successfully prepared via hydrothermal method using selenium and zinc powder as precursors at 190°C for different annealing times (5÷30 hour). The influence of annealing time on the structure and optical properties of ZnSe NCs was investigated by using X-Ray diffraction (XRD), Raman spectroscopy, high resolution transmission electron microscopy (HRTEM), and absorption/photoluminescence spectroscopies. The results showed that the size and luminescence efficiency of the ZnSe NCs was increased with annealing time. The obtained ZnSe NCs with high crystal quality and luminescence efficiency emit 470 nm blue light with a full width at half maximum (FWHM) of about 16 nm, which suggests that they are promising candidates for potential applications in solid-state lighting. In the recent years, II-VI compounds semiconductor material (such as CdSe, CdS, ZnS…) have attracted great interest of researchers due to their potential applications in LEDs, solar cells, lasers, field emitters, photodetectors, fluorescent probes, biosensors, and so on. These materials have so far been the most studied nanocrystal colloid systems with the controlled growth of particles’ diameters between 1.5 and 12 nm, and their size-dependent absorption edge covers the entire visible spectrum [1-9]. However, preparation of small nanocrystals having edge in the UV-blue ranges still remains to be challenging. Up to now, these recent synthesized nanocrystals exhibit low quantum yield and broad emission. This limits in the blue and justifies development of other materials such as ZnSe. ZnSe semiconductors (2.67 eV) having large exciton biding energy (21 meV) and strong luminescence in the blue region is considered as a potential material for the optoelectronic devices, including blue laser diodes, light-emitting diodes (LEDs), and photodetectors as well as in fundamental researches. In addition, these Cd-free materials are believed to be good candidates for biomedical labelling and for using in active regions of advanced optoelectronic devices [10-27]. Latest publications that we have collected mainly focus on different methods to prepare materials. Majorities of the publications reported about the change of nanocrystals’ shape and size depending on the synthesis conditions (reaction temperature, pH, ratio of precursors as well as effect of surfactants…), among them, only a few show the optical properties of ZnSe. In this paper, we present the results on the syntheses of ZnSe NCs by hydrothermal method at 190°C for different annealing times (5÷30 hour) and investigate the effect of the annealing time on structural and optical properties of ZnSe NCs. The characterizations of room-temperature optical absorption and luminescence, elemental analysis, powder X-ray diffraction (PXRD), and high resolution transmission electron microscopy (HRTEM) are presented and discussed. Zinc powder and selenium powder were purchased from Sigma-Aldrich while sodium hydroxide and absolute ethanol were purchased from Merck. All chemicals used in this work were purchased and used as received without any further purification. Zinc Selenide (ZnSe) nanoparticles have been successfully synthesized by hydrothermal method in a Teflon lined autoclave. Selenium (Se) and zinc (Zn) powder were directly used as source materials. First of all, given amounts of Zn and Se powder with an atomic ratio of 1.5:1 were put in a Teflon autoclave of 100 ml. Then 4 M NaOH aqueous solution was poured into the Teflon liner up to 70% of its total capacity. The suspension solution was sealed immediately in the autoclave and then soaked at 190°C for 5 hours (h) to 30 hours. The autoclave was then allowed to cool down to room temperature naturally. The products were collected by centrifugal sedimentation, and washed by ionized water and absolute ethanol repeatedly. Finally, the samples were dried at 80°C for 2 hours. The obtained powders were light yellow greenish. The structures of the obtained samples were investigated by X-ray diffraction (XRD, D8 ADVANCE) and Raman scattering (LabRam HR Evolution using the 532-nm laser excitation). Their surface morphology was studied using a field emission scanning electron microscope (FE-SEM, S-4800, HITACHI) and also EDX analysed with high resolution transmission electron microscope (JEM 2100, JEOL). Optical characterizations were performed with PL measurements. The PL signal was dispersed by a 150-grating monochromator (Horiba iHR550) and then detected by a thermoelectrically cooled Si-CCD camera (Synapse). Figure 1 shows the XRD patterns of the samples prepared by various annealing times of obtained ZnSe. All diffraction peaks are highly symmetric and match well the standard data for ZnSe (00-037-1463). The distinct diffraction peaks with 2θ values of 27.220, 45.190, 53.560, 65.830, 72.620 and 83.4490 could be well indexed to (111), (220), (311), (400), (331) and (422), respectively. The results indicate that the synthesized sample is in a cubic phase. The samples annealed for different times share similar peak positions, but different in diffraction intensities, referring to the similarity in structure phase. The high degree of crystallinity can also be confirmed by HRTEM image, as pictured in Figure 2. The effect of annealing time on structural properties of samples was also studied by Raman scattering. Figure 3 shows a typical Raman spectrum of ZnSe with the three Raman lines at 138 cm-1, 203 cm-1 and 250 cm-1 corresponding to 2TA, TO and LO phonon mode [28-30]. Figure 1: XRD patterns of the samples prepared at 190°C for different annealing times from 5 to 30 hour. Figure 2: HRTEM image of ZnSe NPs at 190°C for a annealing time of 20 hours. The size bar represents 2 nm. Figure 3: Raman spectra of ZnSe at various annealing times. 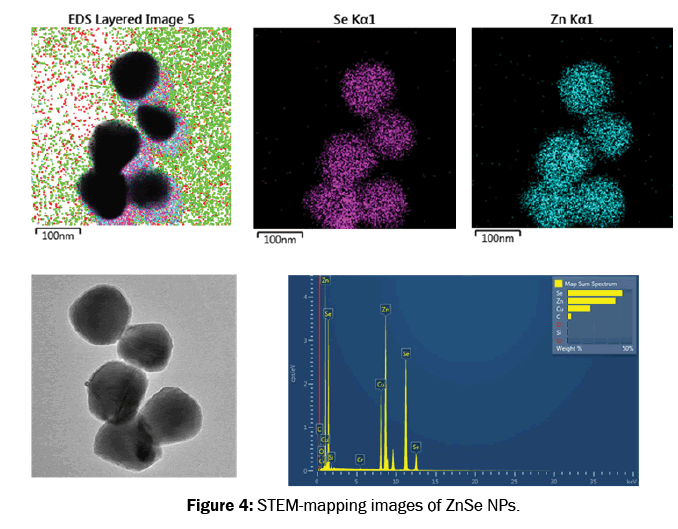 Figure 4 shows STEM-mapping images of ZnSe NCs, indicating the existence of the Zn and Se. Figure 5 shows the SEM images of ZnSe prepared at 190°C from 5 hours to 30 hours. The results demonstrated the effect of annealing time on shape and grain size of ZnSe nanoparticles. Both small (about 80 nm) and large grain size (800 nm) of ZnSe nanoparticles were observed at the 5 hour annealing sample. When annealing time is increased, the grain sizes of ZnSe nanoparticles were also increased with the smaller particles size range. For example, as the annealing time increased to 30 h, some regular large crystals about 900 nm were observed. Figure 4: STEM-mapping images of ZnSe NPs. 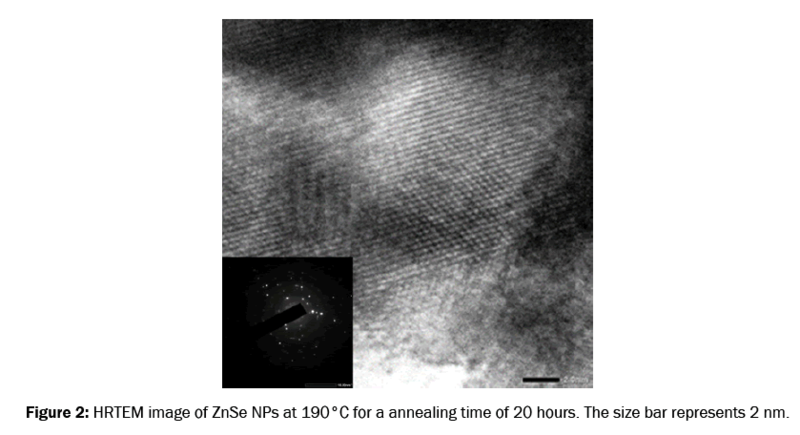 Figure 5: SEM image of ZnSe NPs at various annealing times. Photoluminescence (PL) spectra of ZnSe QDs samples with different synthesis times are presented in Figure 6. The sample was excited with an excitation source at 350 nm. The ZnSe nanoparticles emitted a blue light of 470 nm with a full width at half maximum (FWHM) of about 16 nm. It is showed that PL intensity of ZnSe is increased with annealing time. Figure 6: Photoluminescessce spectra of ZnSe NPs. ZnSe NCs were successfully prepared by hydrothermal method. The phase formation and crystallinity of as-prepared ZnSe NCs were confirmed by XRD analysis, Raman spectroscopy, and HR-TEM. The optical spectra of the ZnSe NCs exhibited a blue of the photoluminescence peak and increase with annealing time. This work was supported by VTG03.18 and VAST.HTQT.Phap.01/17-18. We thank the National Key Laboratory for Electronic Materials and Devices (VAST/IMS) for the use of facilities. Yang J, et al. Formation process of CdS nanorods via solvothermal route. Chem Mater. 2000;12:3259-3263. Fang X, et al. High-performance blue/ultraviolet-light-sensitive ZnSe-nanobelt photodetectors. Adv Mater. 2009;21:5016-21,. Ung DT, et al. Comparative photoluminescence properties of type-I and type-II CdTe/CdS core/shell quantum dots. Opt Mater. 2016;53: 34-38. Nguyen XC, Tunable luminescent emission characterization of type-I and type-II systems in CdS-ZnSe core-shell nanoparticles: Raman and photoluminescence study. Nanotechnol. 2015;6:44. Nguyen XC, et al. Type-II CdS/ZnSe core/shell heterostructures: UV-vis absorption, photoluminescence and Raman scattering studies. Mater Sci Eng. 2015;200:107-116. Nguyen QL, et al. Polarization of Colloidal CdSe Quantum Dots. Journal of the Korean Physical Society. 2008; 53:1570-1574. Chi TTK, et al. Off-resonance Raman analysis of wurtzite CdS ground to the nanoscale: structural and size-related effects. J Raman Spectrosc. 2011;42:1007-1015. Ung DT, et al. CdTe quantum dots for an application in the life sciences. Adv Nat Sci Nanosci. Nanotechnol 2010;1:045009. Tran Thi KC. Temperature-Dependent Photoluminescence and Absoprtion of CdSe Quantum dots Embedded in PMMA. J Korean Phys Soc. 2008;52:1510-1513. Narayan P, et al. Efficient Stable, Small, and Water-Soluble Doped ZnSe Nanocrystal Emitters as Non-Cadmium Biomedical Labels. Nano Lett. 2007;7:312-317. Xiang W, et al. Synthesis and Characterization of ZnSe and ZnSe/ZnS Quantum Dots for Potential Biomedical Application. J Comput Theor Nanos. 2011;4:1509-1513. Jiang C, et al. Synthesis and characterization of ZnSe hollow nanospheres via a hydrothermal route. Nanotechnol. 2005;16: 551. Yejin K, et al. Bent Polytypic ZnSe and CdSe Nanowires Probed by Photoluminescence. Adv Sci News. 2017. Hua G, et al. Characterization and optical properties of ZnSe prepared by hydrothermal method. J Cryst Growth. 2006;288:96-99. Shi-Zhao K, et al. Preparation and optic properties of 3D ZnSe hierarchical nanostructure. Ceram Int. 2014;40:699-702. Wang X, et al. Controlled Synthesis and Characterization of ZnSe Quantum Dots. J Nanosci Nanotechno. 2010;10:7812-7815. Zhang X, et al. Luminescence of ZnSe nanowires grown by metalorganic vapor phase deposition under different pressures. Appl Phys vol 2004;95:5752-5755. Hou DD, et al. Preparation of ultrawide ZnSe nanoribbons with the function of lasing cavity. Optoelectron Lett. 2010;6:241-244. Aeshah S, et al. Simple synthesis of ZnSe nanoparticles by thermal treatment and their characterization. Results Phys. 2017. Colli A, et al. Low-temperature synthesis of ZnSe nanowires and nanosaws by catalyst-assisted molecular-beam epitaxy. Appl Phys Lett. 2005;86:153103-153103. Haiyan H, et al. Preparation and optical characteristics of ZnSe nanocrystals doped glass by sol-gel in situ crystallization method. Opt Mater. 2007;29: 573-577. Pushpendra K, et al. ZnSe quantum dots: Synthesis, characterization and PL properties. J Optoelectron Biomed Mater. 2009;1:59-69. Ahamed AJ, Synthesis and Characterization of ZnSe Nanoparticles by Co-precipitation Method. Journal of Nanoscience and Technology. 2016;2:148-150. Pei X, et al. Morphology-controlled synthesis and electron field emission properties of ZnSe nanowalls. RSC Adv vol 2017;7:10631. Soodabe G, et al. Development of a Hydrothermal Method to Synthesize Spherical Znse Nanoparticles: Appropriate Templatesfor Hollow Nanostructures. Chem Soc Ethiop. 2014;28:37-44. Satyajit S, et al. Fabrication of ZnSe based dye sensitised solar cell and its characterization. International Journal of Research in Applied. Natural and Social Sciences. 2016. Guowei L, et al. Temperature dependence of Raman scattering of ZnSe Temperature dependence of Raman scattering of ZnSe. Journal of Crystal Growth 2005;274:530-535. Lingcong S, et al. Temperature-Dependent Raman Scattering of ZnSe Nanowires. Advances in Materials Physics and Chemistry. 2016;6:305-317. AnHui-Zhi, et al. Raman spectra of ZnSe nanoparticles synthesized by thermal evaporation method. Chin Phys Soc vol. 2004;13:1753-1755.